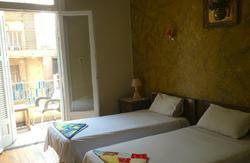 New Minerva Hostel is a western style hostel located in the heart of downtown Cairo. We are located minutes away from the Egyptian museum, and within walking distance of the metro and bus stations. We offer clean, comfortable, nicely decorated, spacous rooms, all with fans and our kitchen is always available to our guests. We have a 24 hour reception desk where our friendly and professional staff can provide you with travel and tourist information. 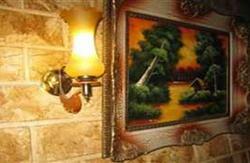 We can arrange custom made tours for you to Giza, Saaqara, Memphis or any other place in Cairo. Trips can be arranged to Aswan and Luxor (from one day to 7) and also to the Western Desert, Sinai (Red Sea), and more. Transfers to and from the airport can also be booked through us. Car parking is available at the hotel. This is a family friendly hostel. New Minerva Hostel is a place you call home. Payments at the hostel are in cash only. Credit cards are not accepted. Take for bus no. 356 in front of the airport to downtown. The station to get off at is Tahreer, or Rumsis St.
Station: Nassar or Ataba & Tahreer St.
We also provide airport pick up. Please contact us for details.